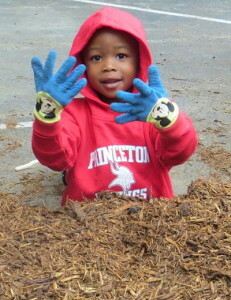 News & Blogs Just how big is a dinosaur? Just how big is a dinosaur? We know dinosaurs were big, but just how big were they? In order to imagine the relative size of these ancient beasts against something students are familiar with, New School Montessori kindergartners bundled up and took to the parking lot to measure and imagine what some of these creatures from the past might look like parked next to our beloved Mitchell Mansion. 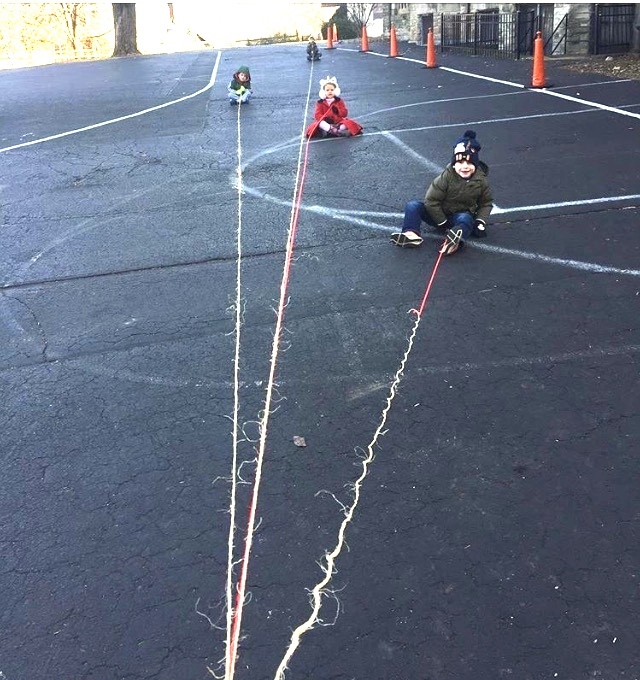 Each student picked a different dinosaur, measured twine that equaled the length of the animal and then spread out to unroll their length of rope. If you squint, you can see Kalkin in the background as he was measuring the gargantuan-sized Brontosaurus. Amazing!